In 2008, many oyster hatcheries throughout Washington state experienced a dramatic death of their larvae. Usually, outbursts of oyster deaths relate to bacteria that contaminate the water. However, after extensive sanitation and tests in the hatcheries, no malignant bacteria were discovered. The problem was not what was in the water, but the water itself, altered through human activity. The most infamous effect of mankind facing society today is the ominous threat of global warming, caused by the burning of fossil fuels. However, there is another lesser known, yet equally dangerous effect of carbon dioxide emissions that threatens the planet: ocean acidification. Ocean acidification is the result of a high concentration of carbon dioxide in the atmosphere dissolving into the ocean. According to National Oceanic and Atmospheric Administration (NOAA), surface ocean acidity has increased by 28.8% since the start of the industrial revolution, and only recently have the economic implications of this become apparent, such as the failure of oyster hatcheries. One main victim of this spike in acidity is shellfish, which are susceptible to ocean acidification because they require carbonates to build their shells. Ocean acidification reduces the amount of usable carbonates, making it much more difficult for the organisms to get the molecules that they need. This leaves their shells much weaker, and often requires the shellfish to divert more energy into making their shells, often leaving them vulnerable to predators. In the past, when the ocean’s increase in acidity happened at a much more gradual pace, many oceanic animals were able to adapt to the changing pH levels. Modern carbon dioxide emissions due to human activity have considerably accelerated the process. The Global Carbon Project found that in 2010 alone, approximately 36.7 billion metric tons of carbon dioxide were emitted into the atmosphere, about 9.5 billion of which were absorbed by the ocean. This gives animals far less time to acclimate to their shifting environment. Some more sensitive organisms can have their shells dissolved by water that is especially low in carbonates. One such animal under the threat of these conditions is the Pteropod. These mollusks, known as “sea butterflies”, are in integral part of the oceanic food chain, providing food for sea creatures ranging from plankton to whales. Pteropods are eaten by many commercially farmed fish, including mackerel and herring, and they can make up 60 percent of Juvenile Alaskan Salmons’ diet. 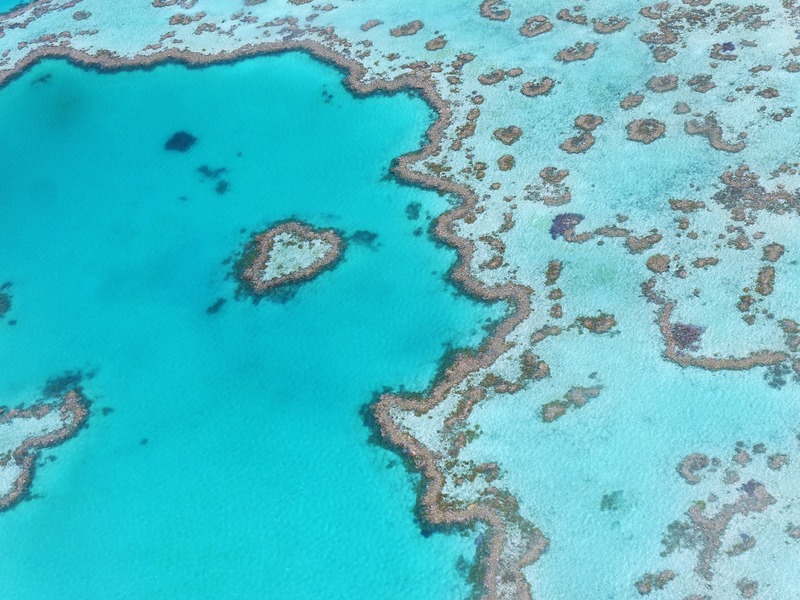 Another ecosystem under attack by ocean acidification is the Great Barrier Reef near the Northeastern coast of Australia. Like the effect on shellfish, ocean acidification corrodes coral skeletons, and limits their ability to construct new ones. Coral reefs are some of the most biologically diverse ecosystems, home to roughly 4,800 known aquatic species. Beyond their ecological role, NOAA estimates that reefs contribute $375 billion a year from goods and services. As the name would suggest, species of coral provide the ecological foundation for these areas. Coral are notoriously sensitive to oceanic conditions, being particularly affected by changes in acidity. For all they have to offer, by the end of the century coral reefs are predicted to erode faster than they can rebuild themselves. The severity of ocean acidification has been demonstrated through these threats, yet since its dire consequences have only been discovered within the last decade, the funding towards ocean acidification is still minimal. The United Nations aims to “minimize and address the impacts of ocean acidification”, but there is no time frame for their goals. However, ocean acidification is a relatively young area of research, and there is little to be done currently besides monitor and observe the impacts it will have. Even though there are few technologies that have been developed towards solving ocean acidification, there are many other ways to decrease its impact. Given that carbon dioxide emission are the cause of ocean acidification, a major way to help is to decrease one’s carbon footprint. This can be achieved by such simple things as walking or biking places, turning off unused lights, and using less plastic. Yet, the largest contribution one can make is to inform others about ocean acidification. Despite it being a potentially disastrous issue, it has largely flown under the radar. The more awareness that can be raised, the more well-deserved attention this problem can receive.